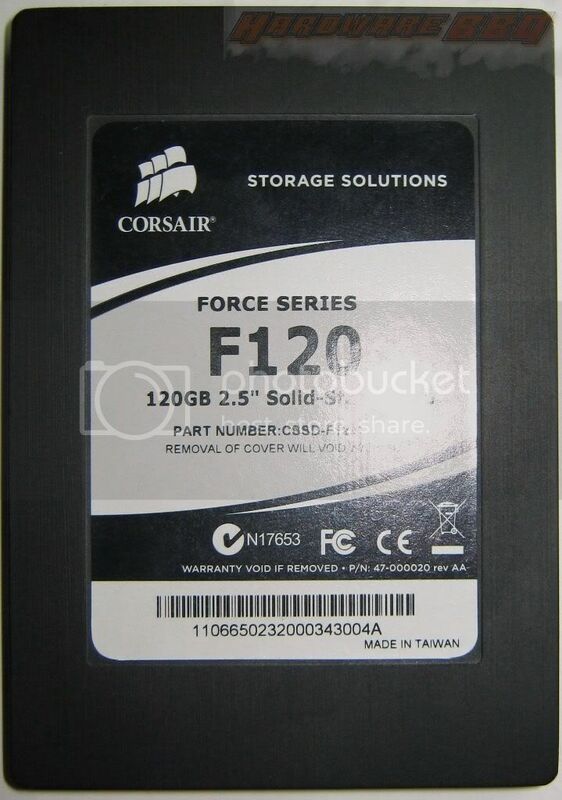 Corsair claims the Force series SSD can do 285 MB/s Sequential Read and 275 MB/s Write with 4k alignment so time to make her run and see if she’s worth it. The retail pack comes in a carton box. As per what’s written on the box. Use a Corsair SSD for faster system start-ups, quieter operations, quicker applications and game loads and lower power consumption for better battery life. Upgrade your notebook or your desktop today. Includes a 3.5” desktop SSD Kit. 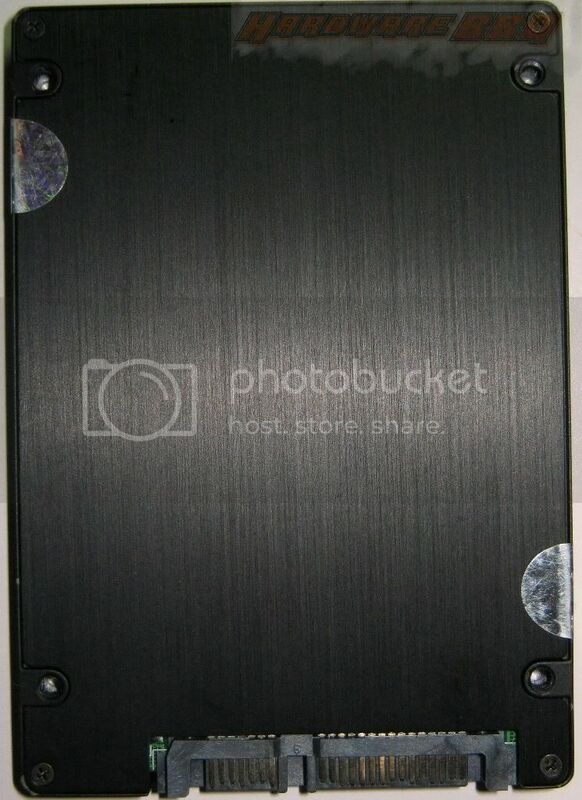 The SSD comes in a metal enclosure with a 3.5inch tray with a couple of FlatHead set of screws. The only obstacle for you to open her up is 4 very small Phillips head screws with a couple of warranty Void stickers. 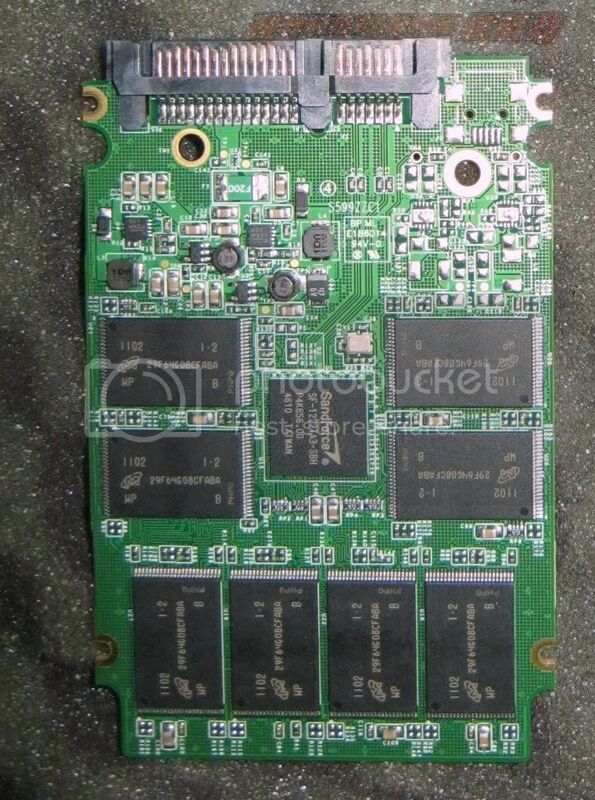 After cracking it open, you will see Sandforce (SF-1222TA3-SBH) controller with Micron 29F64G08CFABA MLC based 34NM Flash NAND modules. 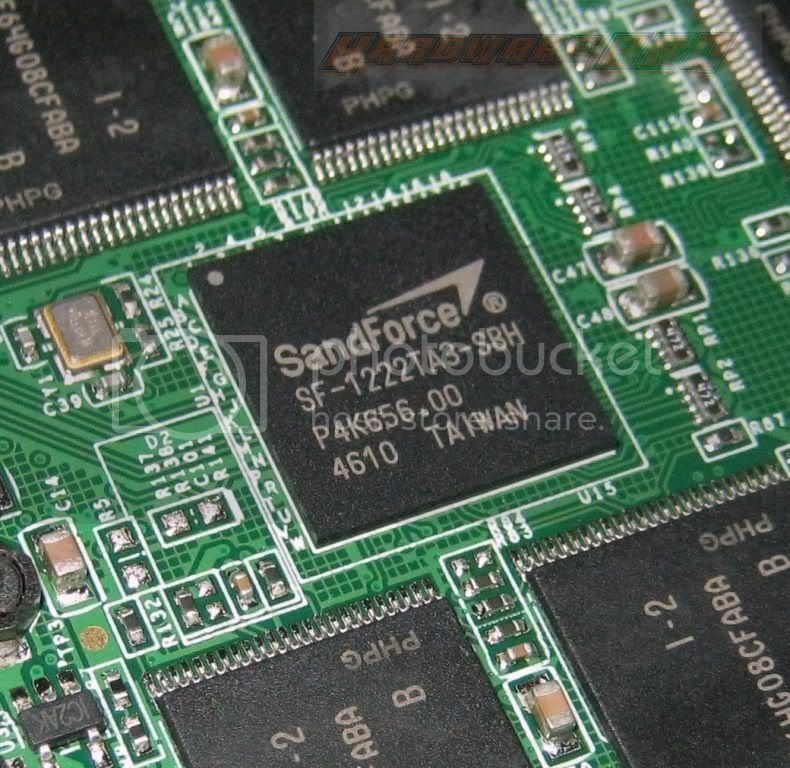 SandForce 1200 controller is a second Gen controller with the only difference being the Dura-Class technology which gives better endurance with lower power consumption. 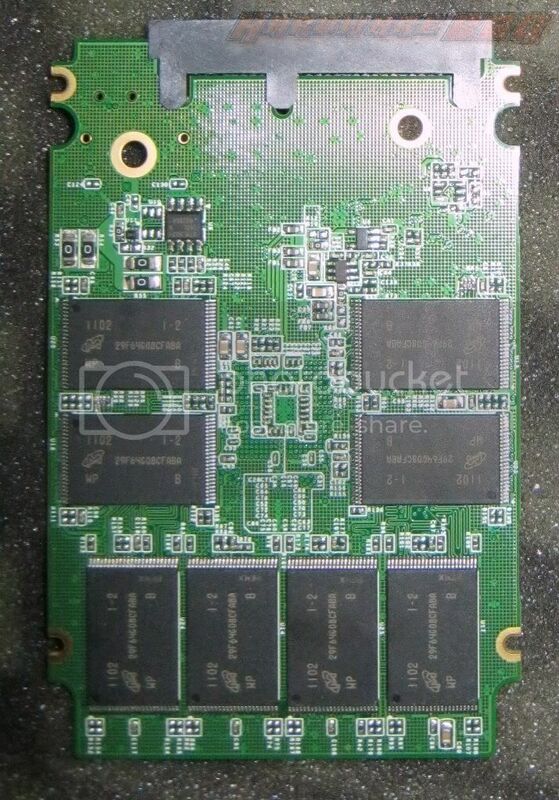 Since the Cache Memory is missing, one can say that Dura-Class does not require a discrete Cache. The controller supports TRIM, S.M.A.R.T. Garbage collection and NCQ.This is a SATAII drive. Powerful flash media error correction (ECC) and RAISE (Redundant Array of Independent Silicon Elements), which deliver an orders-of-magnitude improvement in drive reliability versus today’s best enterprise HDDs and SSDs. The result is single-drive RAID-like protection and recovery from a potentially catastrophic flash block failures – all while avoiding the inefficiencies of traditional RAID. With smaller silicon geometries and the trend toward packing more bits per cell in flash devices, there has been a dramatic reduction in the cost-per-Gigabyte for NAND flash-based SSDs which has accelerated deployment in mainstream applications. However, these changes have also reduced the reliability characteristics of flash devices, i.e., lower endurance, worse data integrity, and shorter data retention, placing increasing importance on advanced flash management technology. DuraClass technology is architected to scale and compensate for commodity NAND flash memory shortcomings ensuring SSDs can be reliably used in enterprise and client computing environments for generations to come. There are 16 Micron 29F64G08CFABA (8 on each side). Each Flash comes with a size 8GB. The Evaluation Sample came with 2.0 version Firmware. The PCB seems to have been made originally to have an option with a USB interface. Before I do a storage (at times, mostly the last person to get) I usually do a secure erase and this SSD wasn’t an exception. 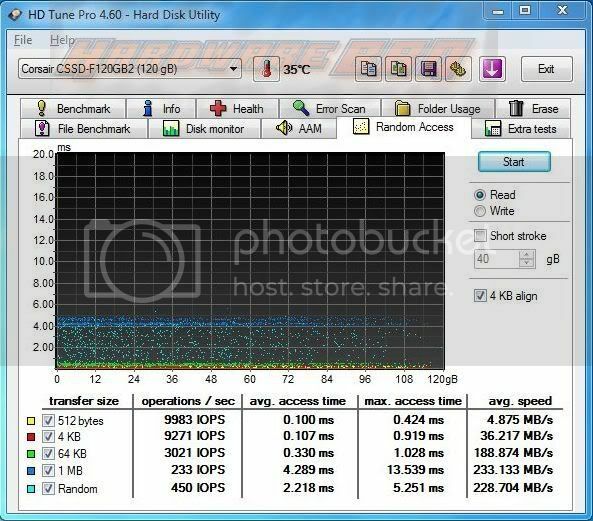 The storage tests that I put up here are the usual synthetic benchmarks and boot load speed. 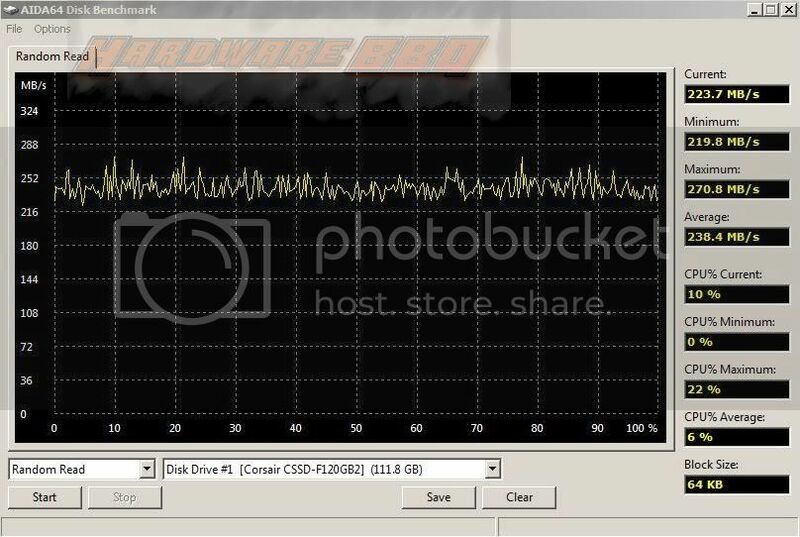 What I also do is use the drive multiple times- as a secondary and Primary drive- via AHCI/IDE and via the Native SATA connector and the Via the JMicron SATA controller powering up 2 more SATA ports even with Hibernation ON/off and Sleep on/off. 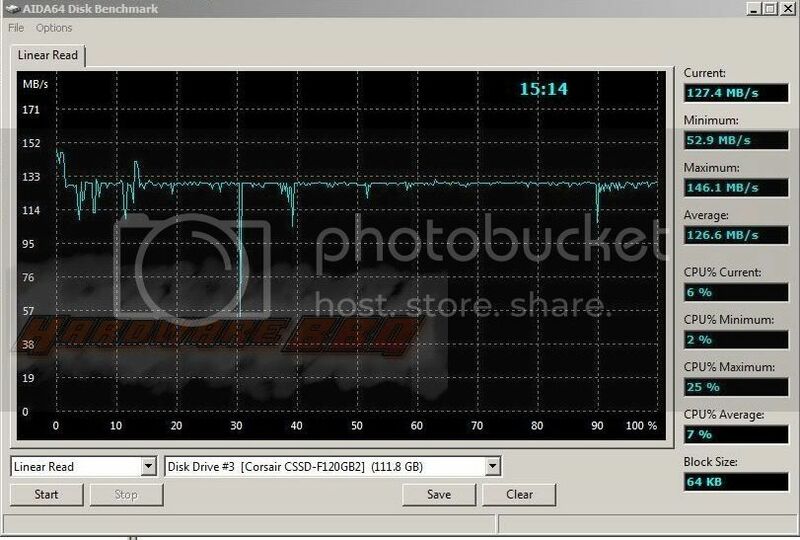 To even get it, even more, assuring that the drive is good enough, the drive is tested with C1E/Quiet n Cool/HPET/ on/off. 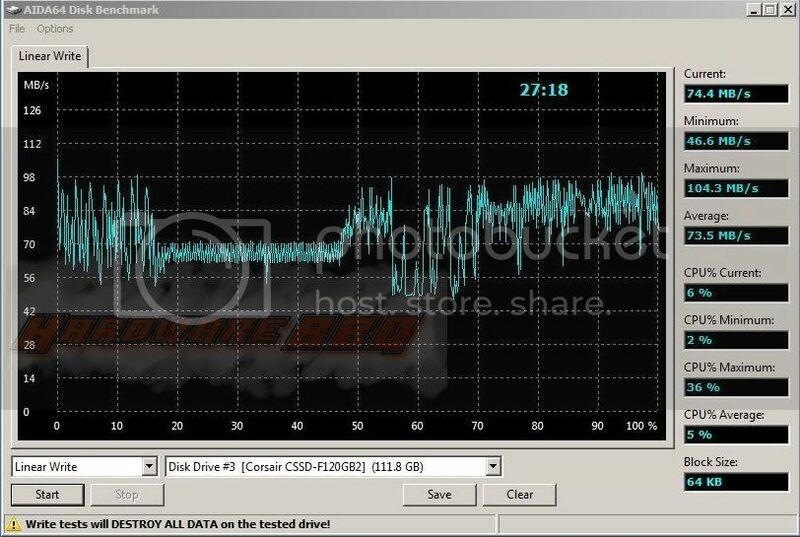 Then I run Customs PC Benchmark and PCM Vantage 3 times in a loop, then play games (Mass Effect 2 and L4D) for about 12 hours. This way, I can get a fairly good idea about the drive and if there are any issues whenever I do anyone of them, they end up here. When I am done, I do the right thing and then do a secure erase after I am done testing so that this way anyone who evaluates the product can do so out of the box. It’s a healthy practice no matter how seemingly long it takes. Future reviewers, take notes ;). 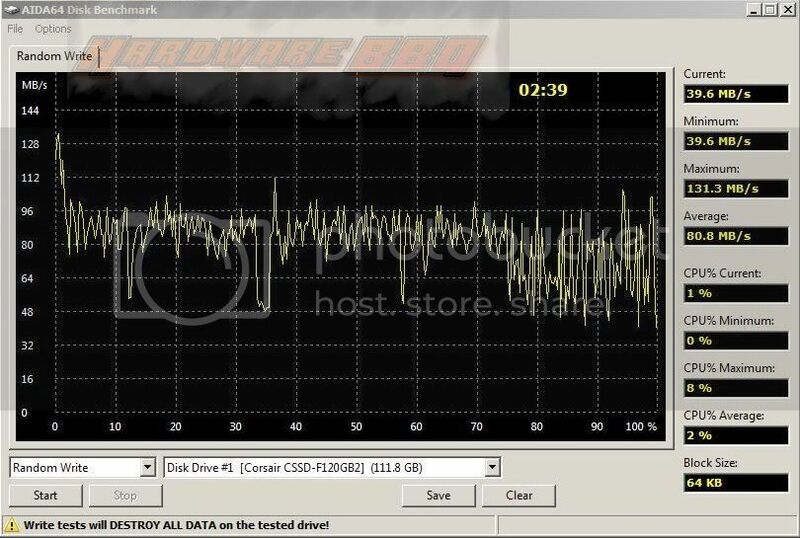 This is the first storage (Mechanical and Flash NAND based) drive that gave me this issue. Turned off/on HPET/C1E/S.M.A.R.T./ Quiet N cool, kept it as the only drive connected and tried by populating all the drive. Tried it via NATIVE SATA support and via J Micron Controller. Thankfully I had 2 more boards, the AMD based E-350’s board from Gigabyte (E350N-USB3) and AMD 870G SD850 based Asus M4A87TD/USB3- same freezing issue. Keeping the drive as unallocated didn’t help either. 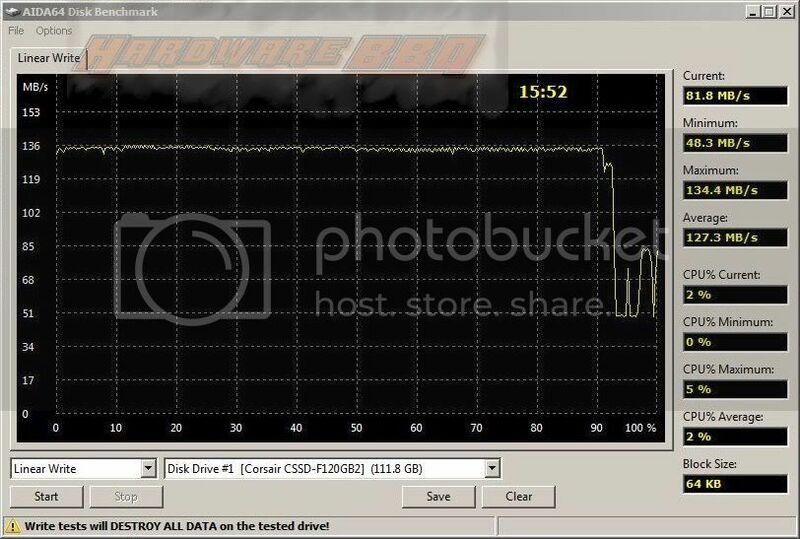 While I was in a DOS mode and before I ran HDDErase, I disconnected the SATA Power cable and then reconnected it. Ran HDDErase and it worked!! This happened on Gigabyte 890GPA UD3H Rev 1.0 with Phoenix Award Bios. 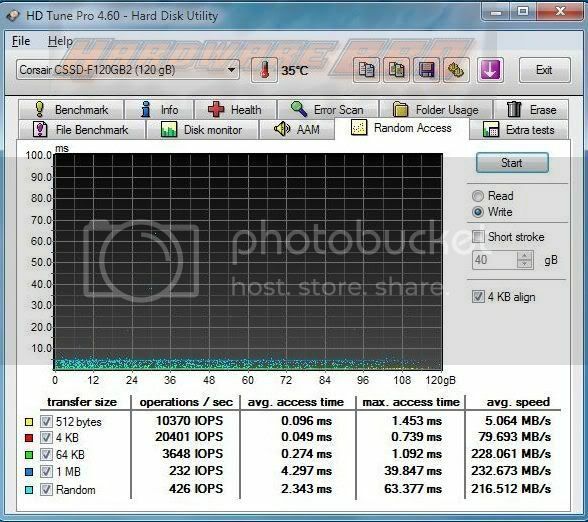 I gave this a shot with Asus’ M4A87TD/USB3 that comes with AMI bios. Same result. Could be the firmware or the controller. 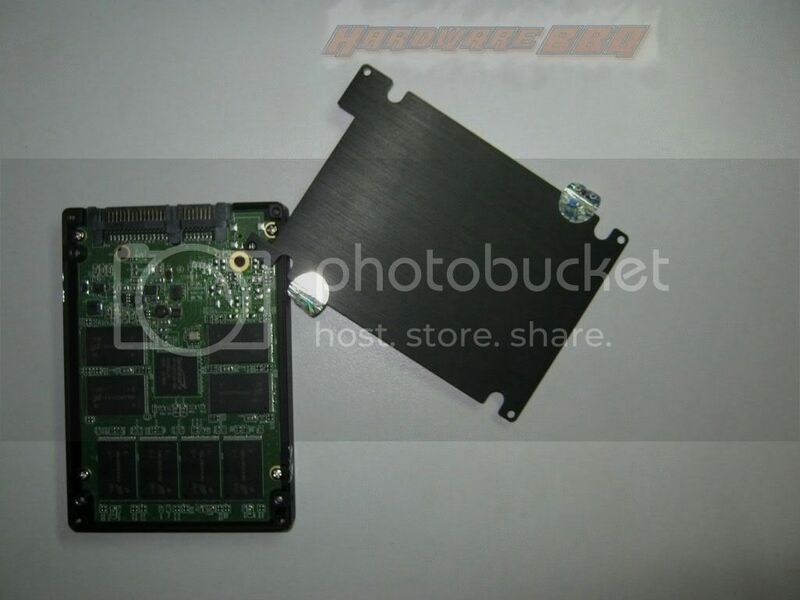 All storage review samples are prepared by first doing a Secure Erase and Tested in AHCI mode. 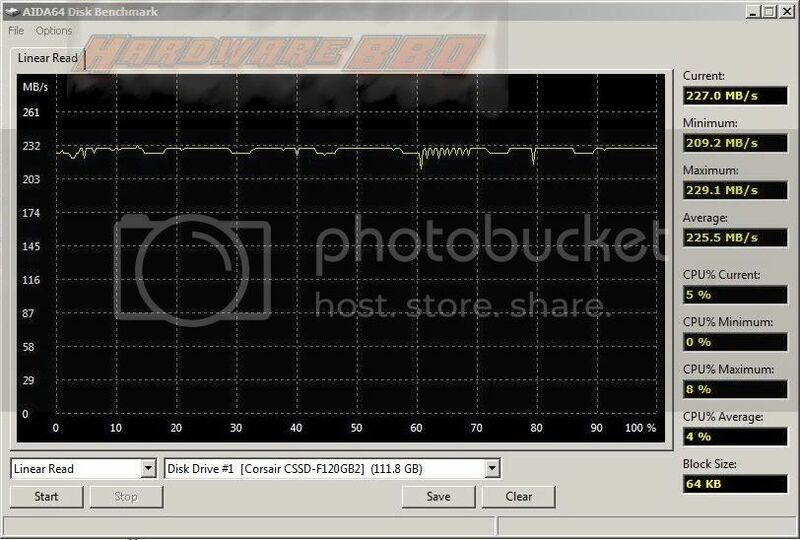 I would like to Thank Gigabyte India, Kingston Taiwan, and Western Digital India for provided the hardware to be used as Hardware BBQ’s standard Test Setup. Maintaining the Block size of 64KB, the drive maintains a pretty low (good enough for an SSD) access time. So far so good. 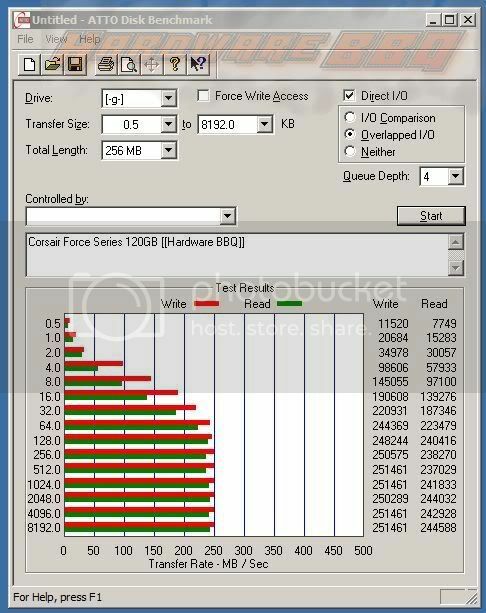 F120 drive maintains the average Sequential Read of 193.9 MB/s and Average Sequential Write of 230.3 MB/s with 64KB. Acces Time is low. This is turning out to be a good all rounder drive so far. 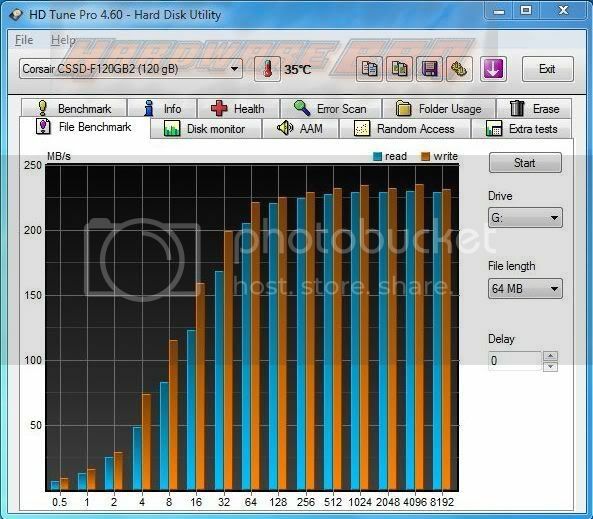 Do note, ATTO Benchmarks is done with 256MB Block Size whereas the File Benchmark is done with 64KB, standard setting for any of the storage benchmarks done here. Metting the sequential Write/Read speeds largely depends on the block size but the difference is seen clearly. 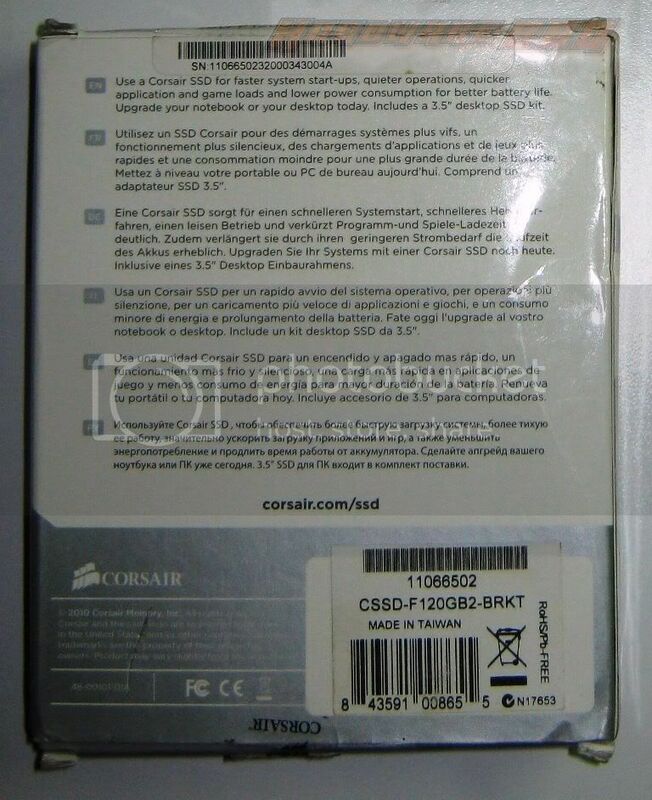 Excellent boot speed and excellent load speed for applications, especially for games. 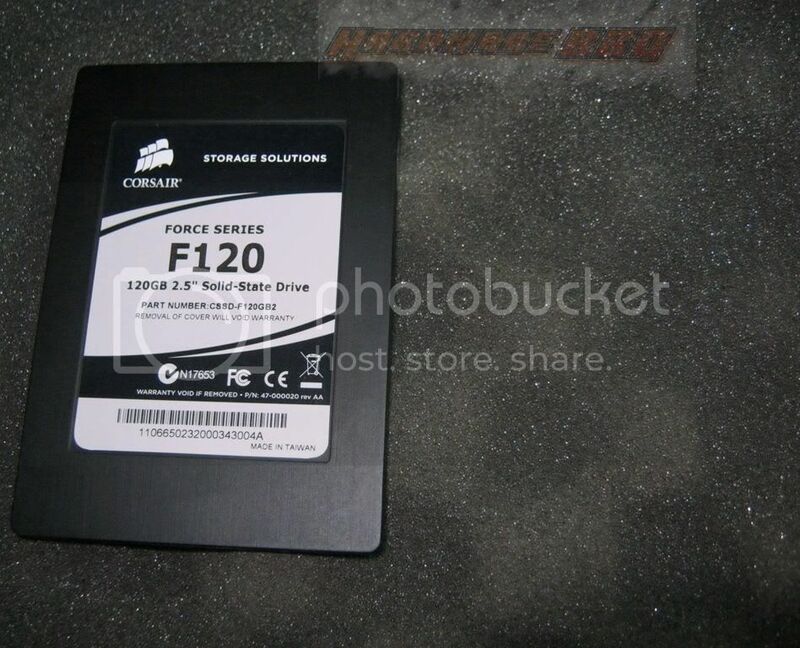 120 GB is a generous space (for an SSD) and this drive is a great out-of-the-box performer. Firmware 2.0 comes with the sleep bug fix that the 1.0 version had. If you encounter the HDDERASE issue, all you need to do is remove the the SATA power cable and reinsert it. 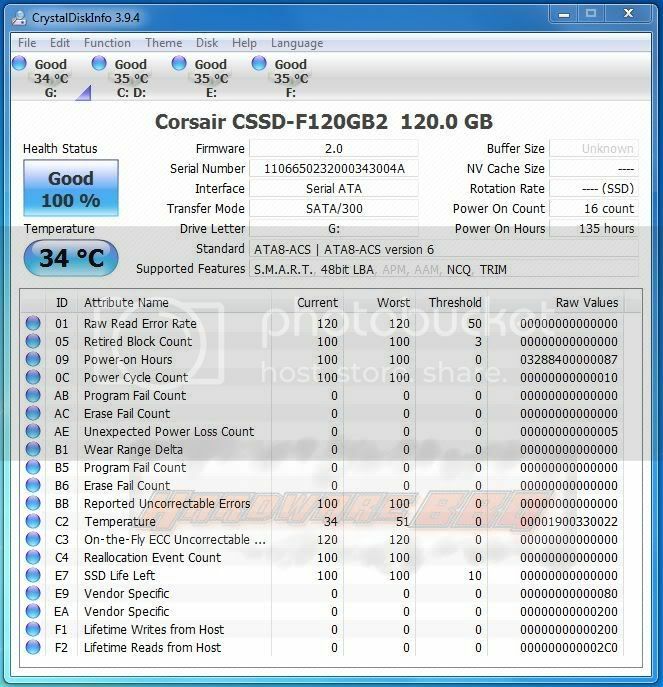 This drive comes with 3 years of warranty period, but I would like to see SSDs coming with atleast 5 years warranty period. 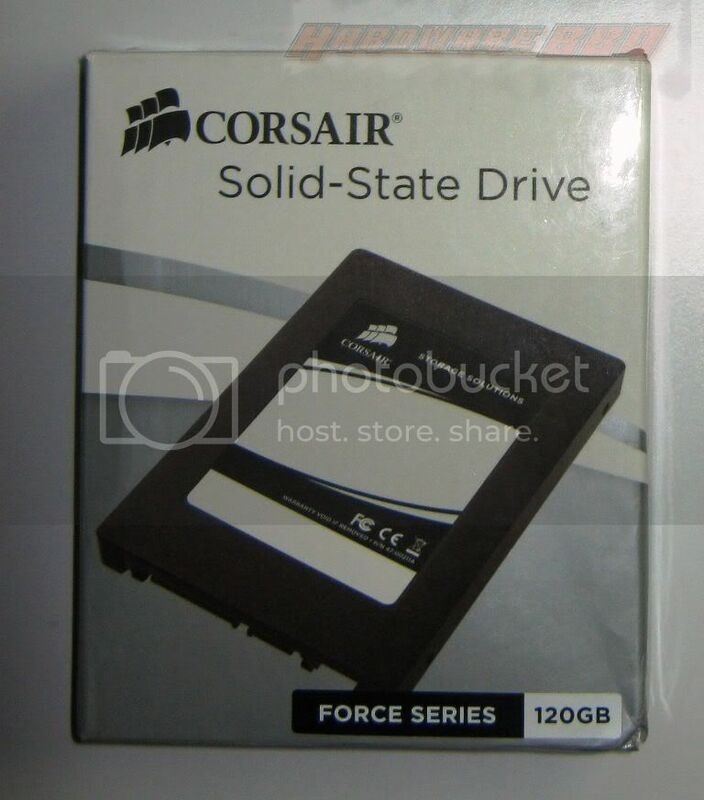 I’ll emphasize on 2 things: Space and out-of-the-box performer, especially those who will be upgrading Primary storage. 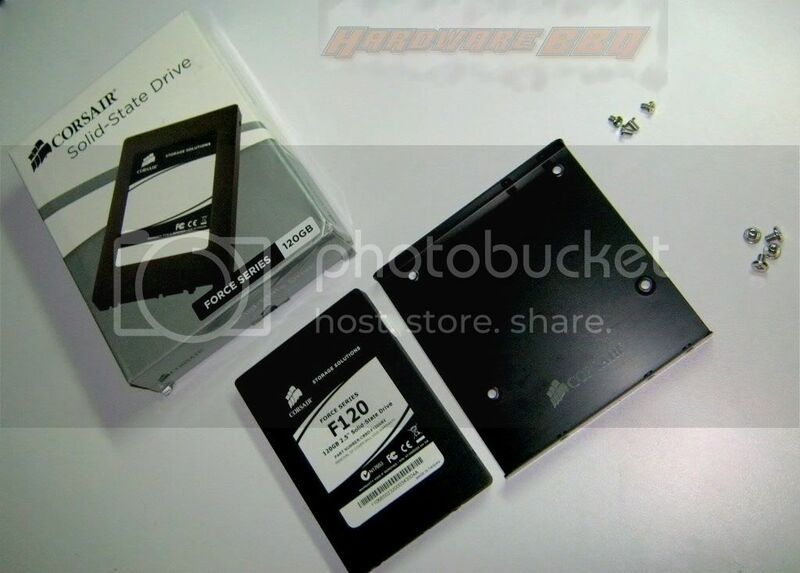 There is still restriction, but if you can manage with a 64GB SSD, this is salvation for you buddy! 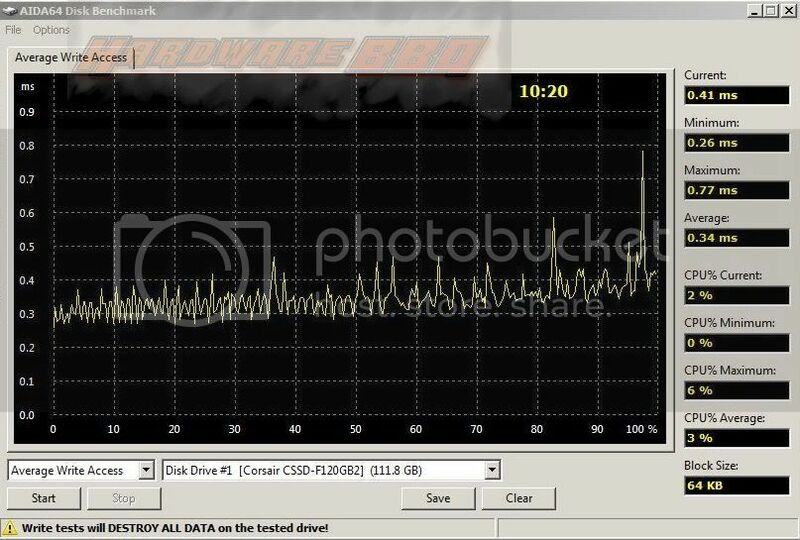 As you can see, Write speed gets affected once the drive goes a lot of copy/read/write activities. 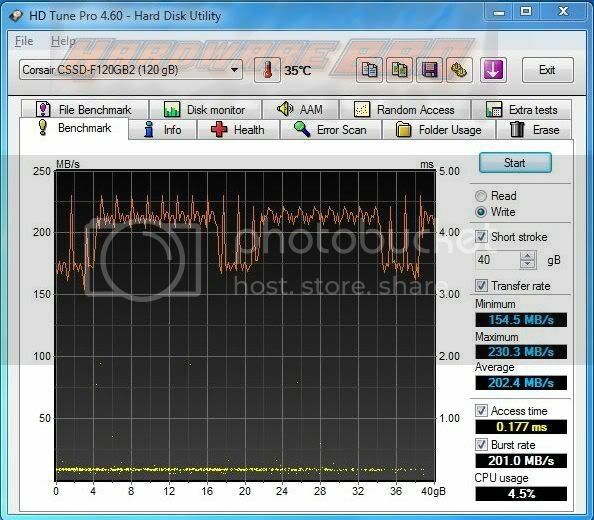 I know that TRIM needs to catch up but the SSD was connected as a secondary drive and left idle for about 2 days. 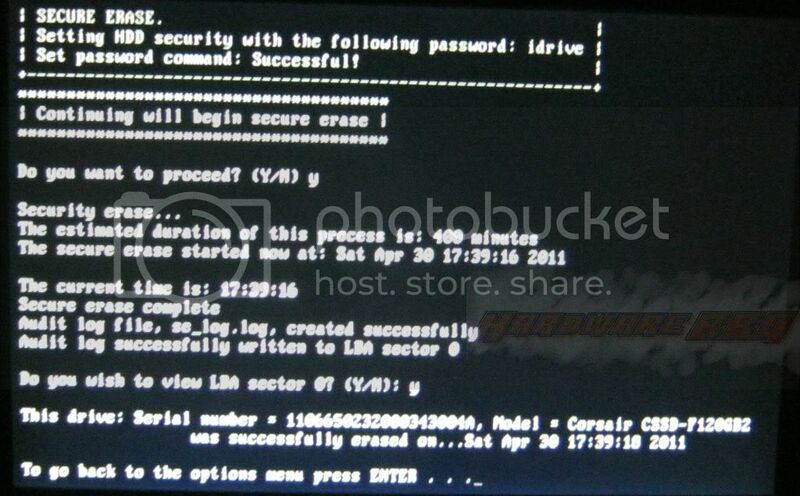 So if you’re planning to make a Clean OS Reinstall or Image restoration, make it a healthy practice to do a secure erase. 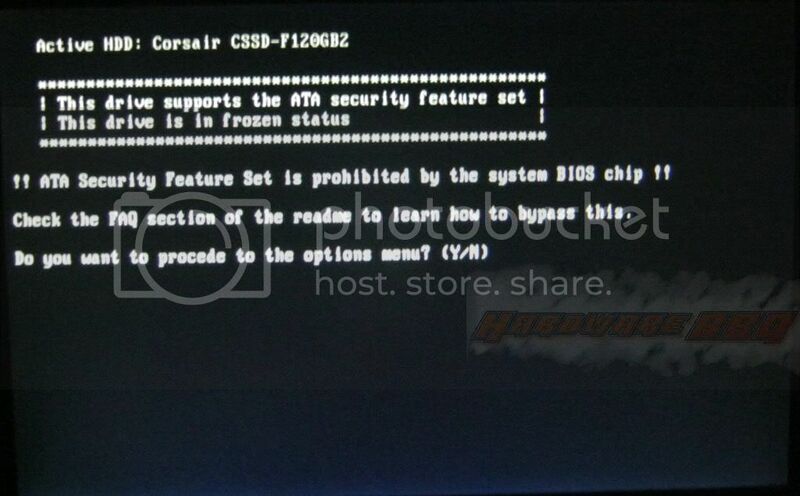 You’re getting a Corsair Nova Series v64 for Rs. 8,000/- whereas F120 comes with MRP of 13k. Good Price-per-GB ratio even with a limited choice that we have here available fairly easily via major retailers. Far away from being a choice for General computing users, but this will be one of the default choices for many mid-to-high end systems.